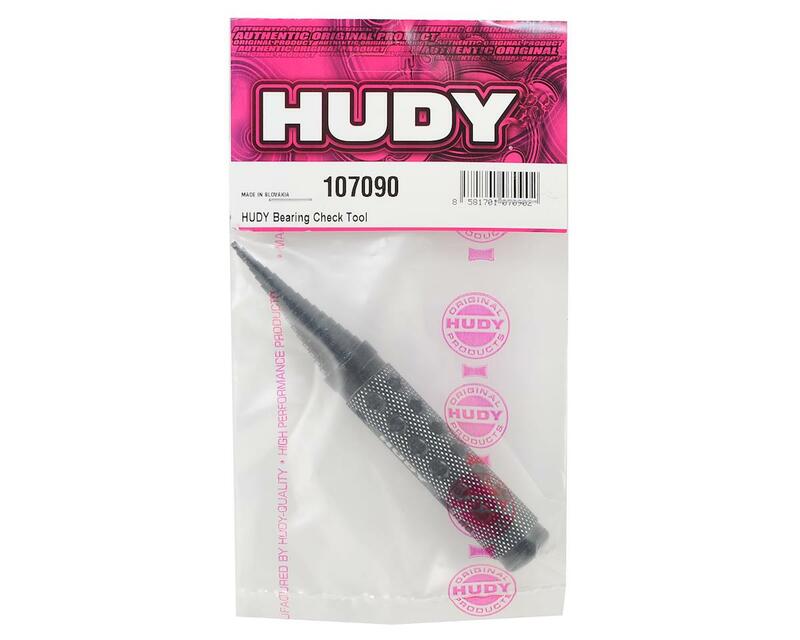 The Hudy Bearing Check Tool is a CNC-machined tool, developed to make it easier to measure diameter, check smoothness and clean/lubricate your bearings. 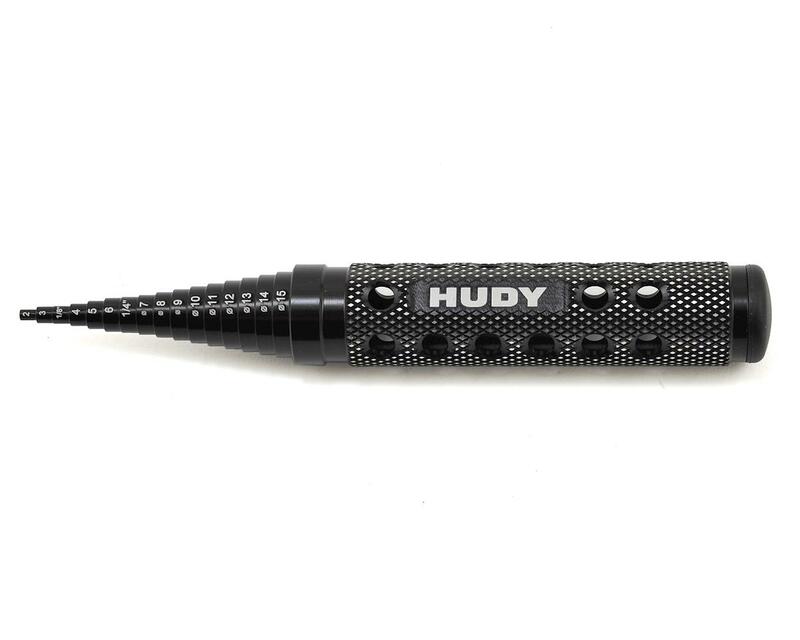 The handle features the typical HUDY design and look with lightening holes and diamond knurled pattern for maximum grip. There are 16 steps in the tip with the size engraved on each, 2–15mm.